Generations of royals have visited New Zealand since the Queen first stepped ashore in 1953, and next in line to visit is also next in line to the British Throne: Prince Charles. During the past 12 months New Zealand has hosted several royals including Prince Harry, who spent a week touring in May, and the Duke and Duchess of Cambridge, who visited with baby George in 2014. Premium lodges and luxury accommodation given the royal stamp of approval to host the VVIPs range from official government residences in Auckland and Wellington to secluded luxury resorts in tourist hotspots in both the North and South Islands. And visitors who want to follow in the royal visitors’ footsteps can wine, dine and sleep in many of the same posh places. So what does it take to be chosen as a host to royal residents and how do New Zealand accommodations measure up when it comes to meeting palace requirements? Quality chattels, private spaces, impeccable hospitality, attention to detail, good security and staff discretion are all important requirements – but a picturesque location, access to nearby activities and unique experience also play an important role. 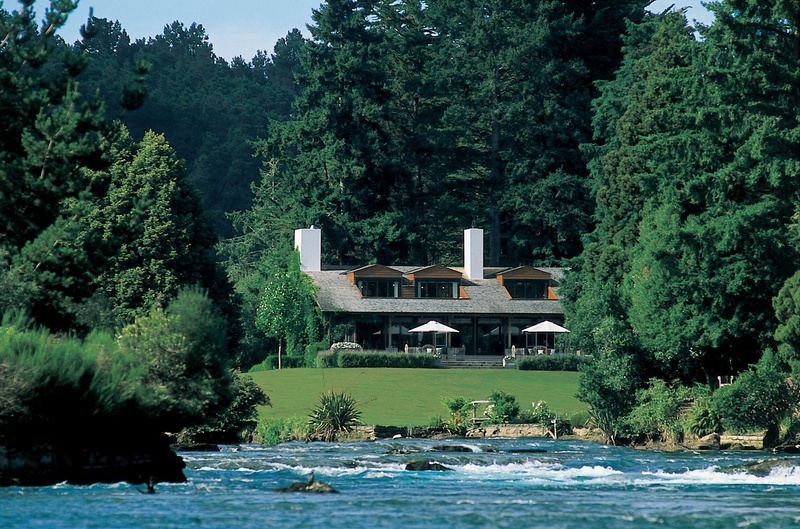 Topping the list is Taupo’s Huka Lodge in the central North Island, a favourite of Britain’s HM Queen Elizabeth II who has stayed in the secluded property several times. A key attraction for Her Royal Highness is trout fishing which she can enjoy a few steps from the lodge situated on the banks of the Waikato River. Huka Lodge has won many awards and been consistently rated amongst the top places to stay in Australasia and the world since 1984. Set in extensive private grounds, the elegant accommodation, service excellence and fine dining has ensured the property’s top ranking. The guest register makes impressive reading, with Queen Elizabeth and the Queen Mother leading a long list of royal visitors, including princes and princesses, dukes and duchesses, lords and ladies from the United Kingdom, Netherlands, Belgium, Luxembourg, Denmark and France. For special Luxe Beat VIP offers at Huka Lodge call 888.212.6444 or go to classictravel.com/luxebeatvip. 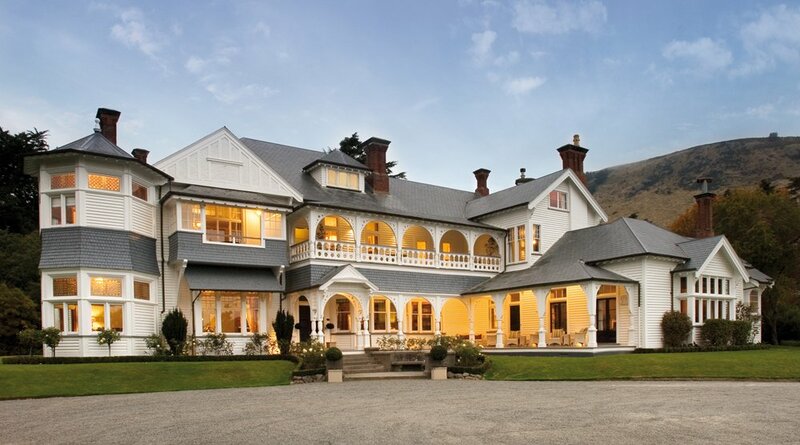 Wharekauhau Country Estate, on a 5,000-acre working sheep station overlooking Palliser Bay, in Wairarapa north of Wellington joined the list of New Zealand ‘royal residences’ when the Duke and Duchess of Cambridge first arrived in New Zealand to embark on their 2014 tour. While the Edwardian grandeur and antique furniture might have felt quite familiar to the royal couple, the view across the sheep farm and out across the dramatic coast is undoubtedly exclusive to New Zealand. Wharekauhau means ‘place of knowledge’ and the property began life as a sheep station in the 1840s. In pre-European times people came here to learn the art of efficient farming, and Wharekauhau can be credited as a pioneer in the New Zealand lodge industry, reflecting as it does, the unique combination of genuine down to earth Kiwi hospitality and the finest details of comfort. The possibility of exploring nature, light adventure – horse trekking, archery, clay bird shooting, golf – and indulging in fine food and wine (it’s on the doorstep of the boutique Martinborough wine region), spas and quiet relaxation attract visitors to Wharekauhau. Prince Harry also took time out from his full New Zealand schedule to enjoy a private overnight visit to Riverrun Lodge near Lake Wanaka in the picturesque Southern Lakes region. Described as a discreet, intimate luxury property, Riverrun was established by the founders of adventure outfitting retailer, Kathmandu. As well as being a small luxury lodge Riverrun is also a 500-acre working sheep farm. The lodge is set on an escarpment – the remains of an ancient glacier terminal moraine – bordering New Zealand’s largest river, the Clutha, and has access to 30 kilometers of walks and running trails. Nearby are two magnificent lakes, Wanaka and Hawea, and Mount Aspiring National Park. Dining, as Prince Harry and his party did, would include a selection of local ingredients like Cardrona merino lamb, Aoraki salmon and Blue River sheep’s cheese. 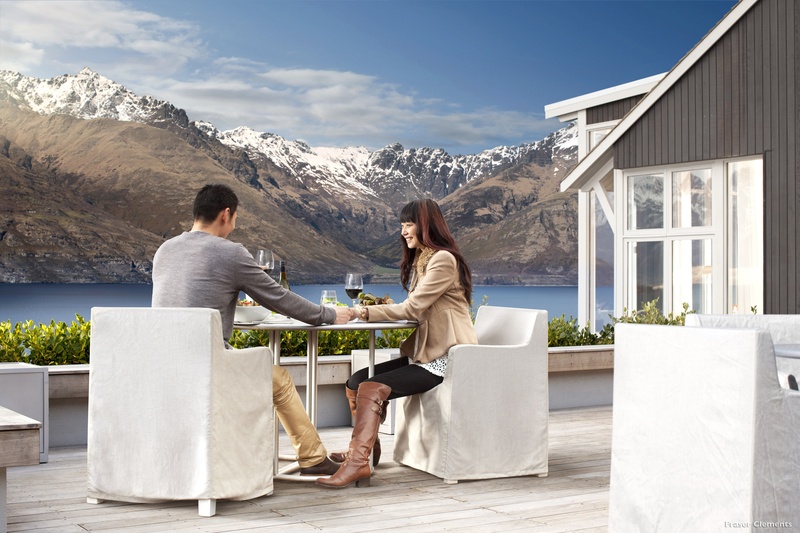 The Duke and Duchess of Cambridge’s 2014 tour included a visit to Queenstown, New Zealand’s year- round adventure resort, now rated as one of the most popular holiday destinations in the world. As well as experiencing local attractions like jet boating at Shotover Jet and wine tasting at Amisfield, the couple sampled some of the region’s famous luxury accommodation, enjoying a night at the award-winning Matakauri Lodge on the banks of Lake Wakatipu. The lodge has panoramic views of the lake and dramatic Remarkables mountain range from every suite and is named one of Tatler magazine’s 101 Top Hotels in the World. Matakauri is part of the Relais & Châteaux global family and prides itself on haute cuisine and the ability to envelop guests in luxury while offering service in in keeping with down-to-earth New Zealand service. His Royal Highness Prince Henry of Wales, better known as Harry, found home away from home at Stewart Island Lodge when he visited New Zealand’s island hideaway during a week-long tour in May this year. 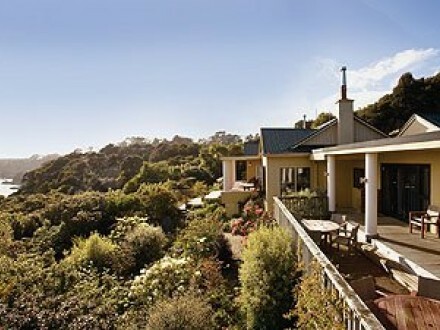 The six-bedroom bed and breakfast accommodation owned by tourism company Real Journeys, has stunning sea views and is surrounded by native bush, just a short walk from the centre of Oban, Stewart Island’s village. Prince Harry shared the view on Instagram with a photo of the sunrise from his balcony and enjoyed a close encounter with a kaka, a large, forest-dwelling native New Zealand parrot, one of many native birds that can be spotted from the lodge. The lodge closes for the winter season at the end of May and reopens at on 1 September but is available on an exclusive hire basis. As the official residence of the Governor General, the Queen’s representative in New Zealand, Government House in Wellington and the equivalent Government House in Auckland have also hosted a string of Royal visitors. William and Kate based themselves at Government House in Wellington during their nine-day tour in April last year. A special nursery was set up for Prince George, who was eight months old at the time. The residence in Wellington, built between 1908 and 1910, is a large, two-storey house, constructed mostly of wood, with attics, a grand staircase, a ballroom, conservatory, service rooms and kitchens, a wing of offices and a flag tower. The residence was reopened in March 2011 after a five-year conservation and restoration project and is now open to the public at special times for guided tours. The site of the present day Government House, Auckland, was first built on in the 1880s, and the large, well-established gardens feature trees that are among the oldest of their kind in New Zealand. The grounds have been endorsed as a ‘Garden of National Significance’ by the New Zealand Gardens Trust and are opened to the public once a year. The house is much smaller than its Wellington counterpart and was designed as a family home. It was purchased by Sir Frank Mappin, 6th Baronet and his wife Lady Mappin in 1921, and donated to the Crown in 1962. The Queen stays at the House whenever she visits Auckland. 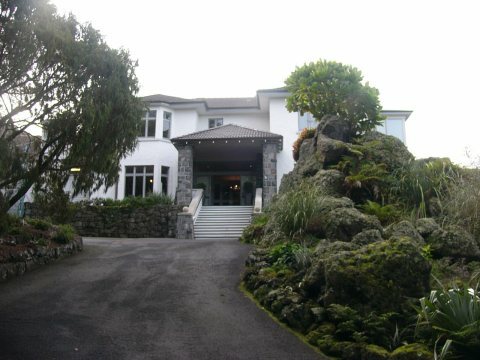 In 1983, when the Prince and Princess of Wales visited New Zealand with Prince William, the house was given an extensive makeover with particular attention to a nursery for the then nine-month-old prince who crawled for the first time in front of media gathered on Government House lawn.